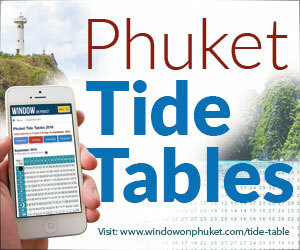 Phuket is a melting pot of cultures. 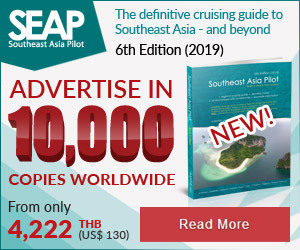 The island is inhabited by a mix of Thai Buddhists and Muslims, and over half of the locals are a mix of Chinese. 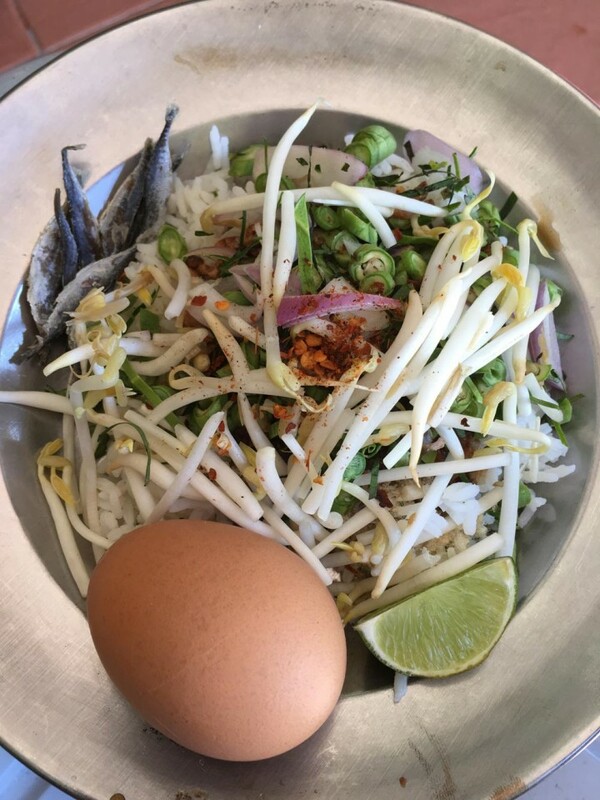 This makes for an interesting combination when it comes to food choices on the island, and breakfast options are no exception. 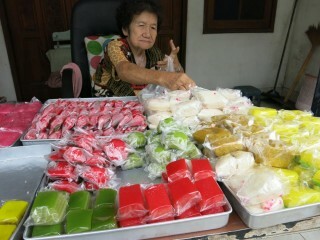 The most popular local breakfasts in Phuket draw on the cultural mix of the island's residents. Breakfast featuring traditional Chinese steamed buns and those with Muslim origins are quite different to the fried eggs and bacon combination that most Westerners have grown accustomed to. However, whether you prefer coffee or tea, the delightful breakfast choices available in Phuket are sure to satisfy even the pickiest of appetites. Roti is a delicious flatbread originating from the Indian subcontinent. 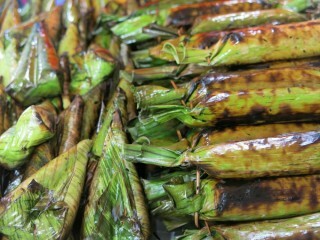 Prepared in a variety of styles, it is a favourite breakfast across Phuket. 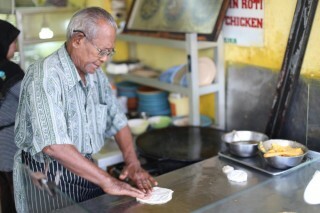 Many locals and expats prefer to have their roti served with moderately spiced curries and fresh vegetables. This combination is easy to find at many local restaurants, but take note that most restaurants selling this delicious breakfast sell out quite early in the morning. 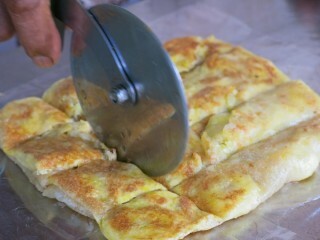 Another roti favourite is known as Roti Mataba. 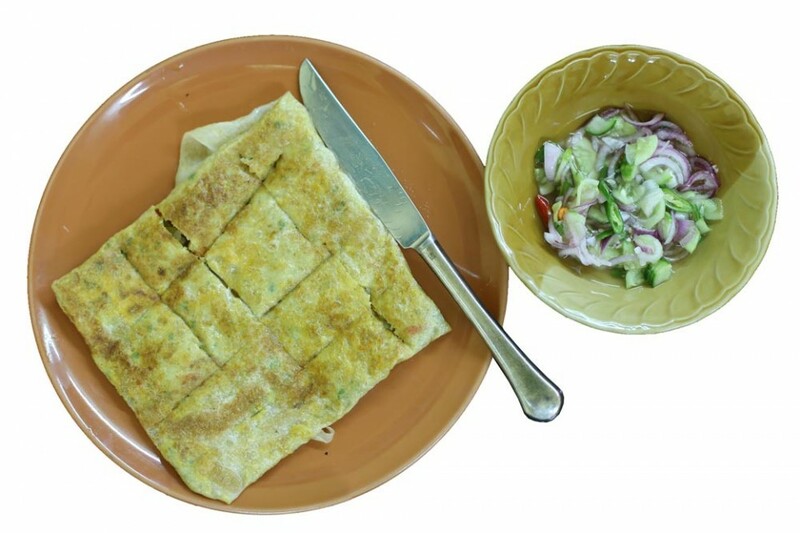 Stuffed with minced chicken or beef, cumin and shallots, Mataba makes for a savoury breakfast. Served with a cucumber and vinegar dipping sauce, it is a moorish treat. 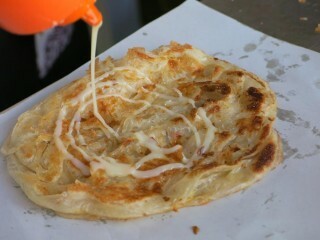 Most tourists will be familiar with the street vendor varieties of roti, often referred to as pancakes. Smothered in sweetened, condensed milk and stuffed with bananas or smeared with chocolate and stuffed with strawberries, these types of roti make for a great snack and are available on nearly every street corner or market in Phuket. 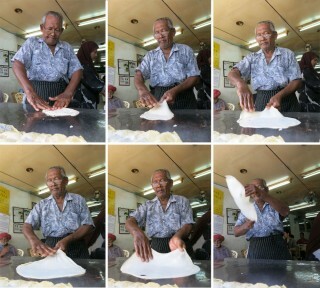 Most of the authentic Muslim restaurants in Phuket also feature other menu items. One of the most popular menu items is a one-plate dish known in as khao mok gai. 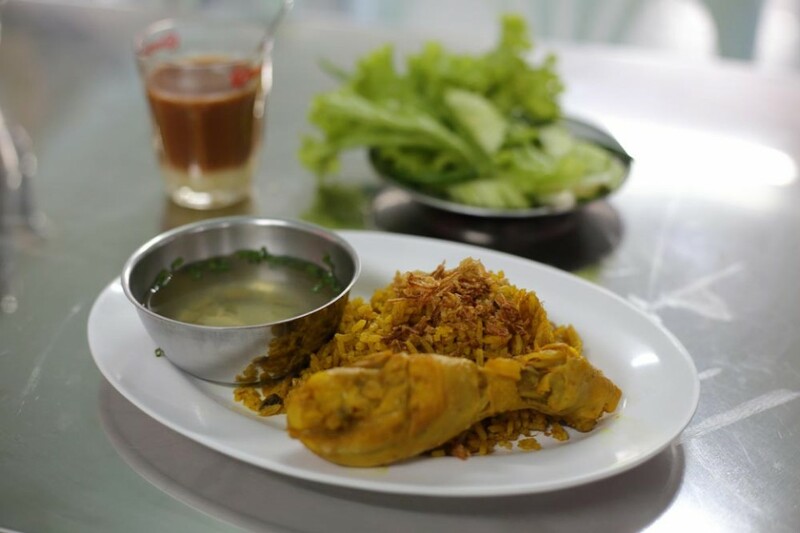 The dish consists of fragrant yellow rice sprinkled with crispy fried shallots and served with a piece of chicken. Khao Mok Gai is the Thai take on Chicken Biryani and it absolutely delicious. a popular breakfast dish, it is often eaten at lunch and dinner as well. This dish is easy to find and is really great value for the money. 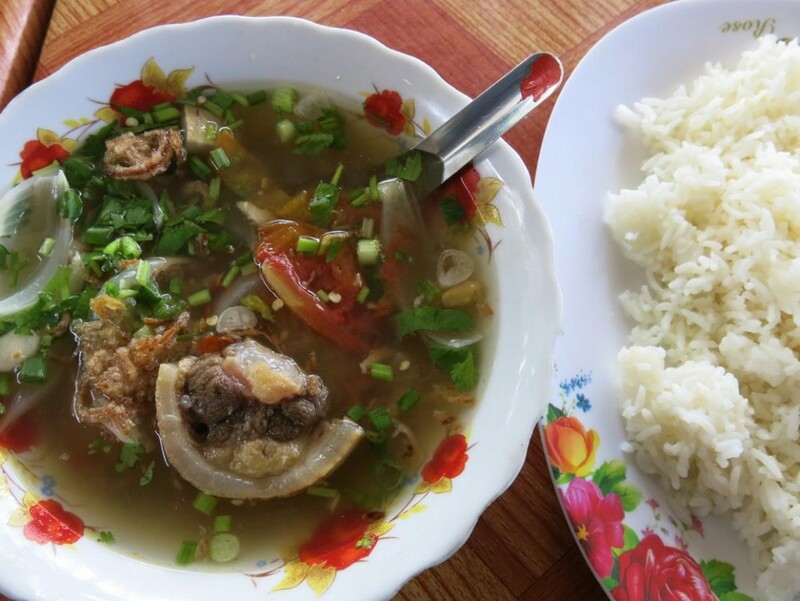 One more dish on the must try list is the tender beef soup. 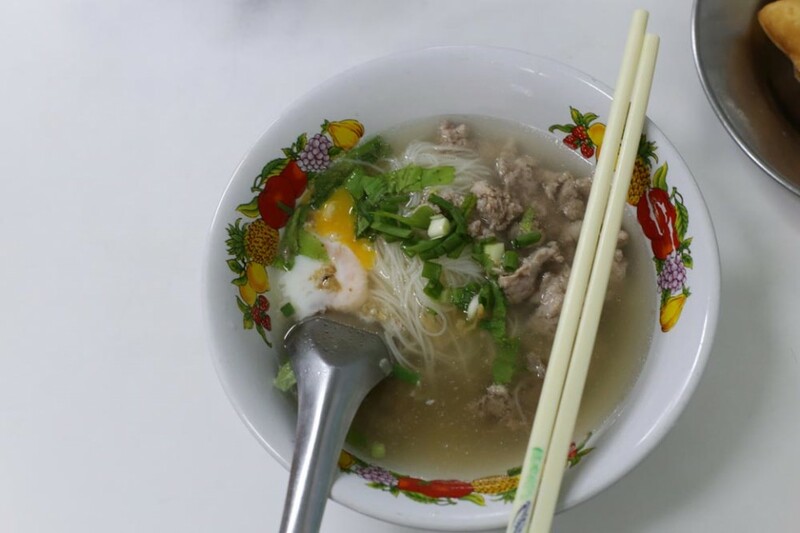 Perfectly seasoned and often on the spicy side, the beef soup is a nice light alternative to the curries and roti. The beef is exceptionally tender due to the fact that it is often simmered for hours. 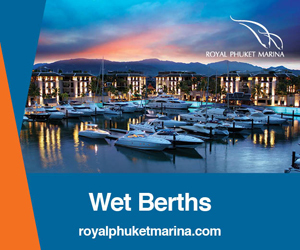 Deeply rooted with the arrival of immigrants in the tin mining days, the entire island of Phuket features a strong Chinese influence. 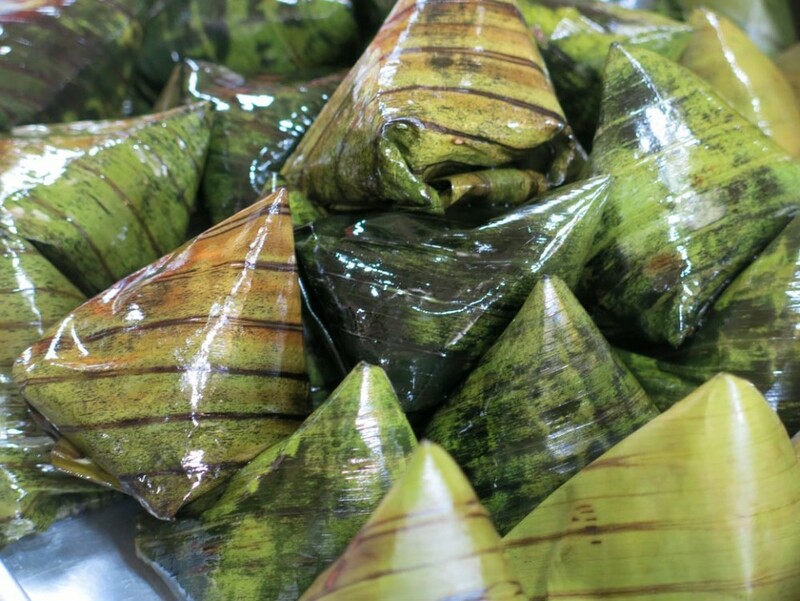 This influence is well documented in the island's history and culture, and is also quite evident in the food. 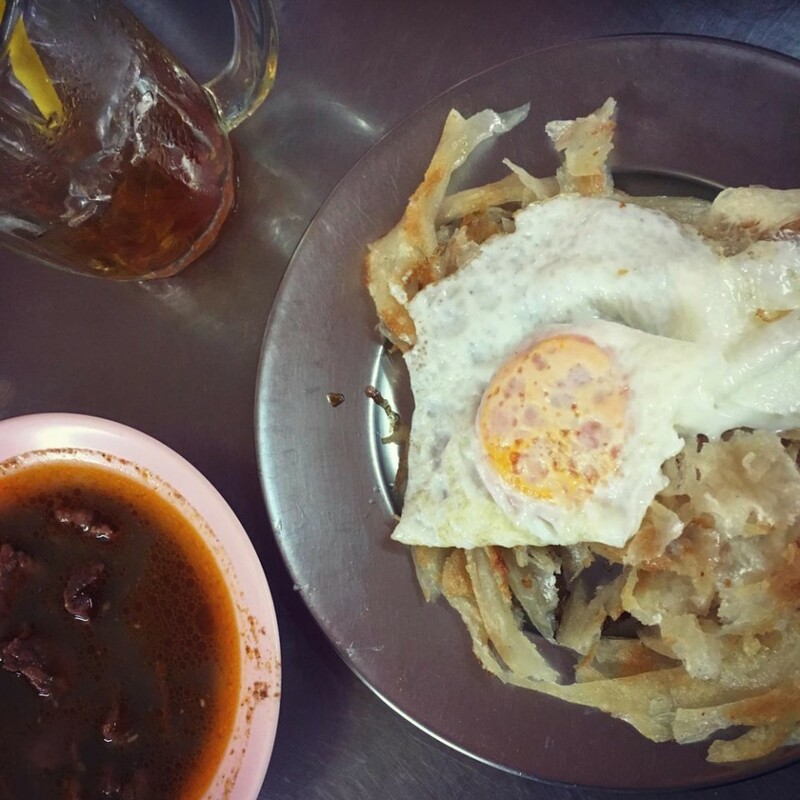 One of Phuket's most popular local breakfasts, with a Chinese influence, comes in the form of boiled rice noodles slathered in a choice of curries. 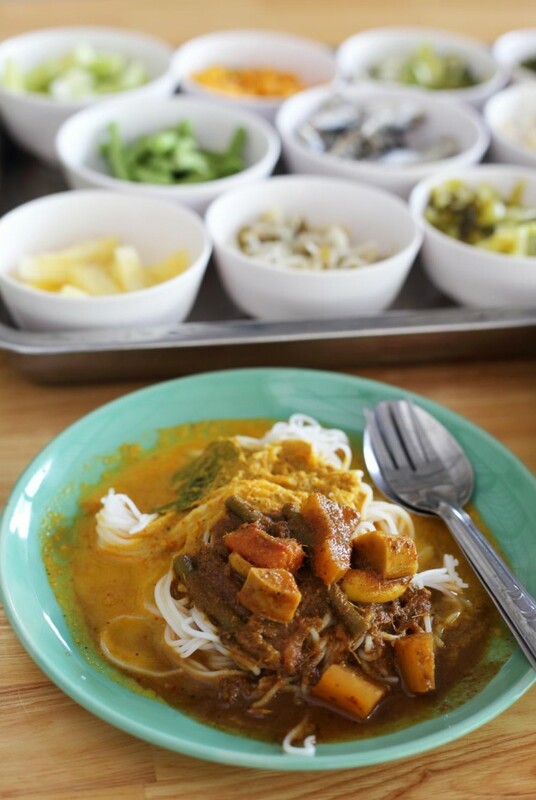 Known as kanom jeen, the noodles are served alongside spicy fish curry, peanut-based coconut curry or green curry. Accompanied by both fresh and fermented vegetables, kanom jeen is a delicious, affordable breakfast treat. The breakfast dish is a Thailand staple, and can be found in most local restaurants. Aas a rule, the best kanom jeen tends to be found in the tiniest of local-kitchens-turned-restaurants, just look for the metal pots, at street stalls and market stands. 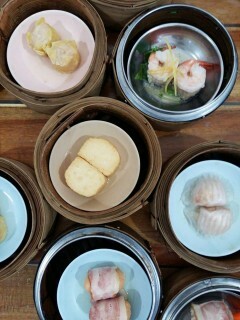 Another famous Phuket breakfast with deep-rooted Chinese influences comes in the form of scrumptious, The bite-sized steamed buns. 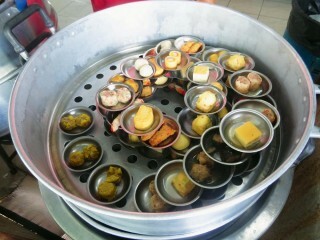 Dim sum is small portions of food served on small plates or in small steamer baskets. bite-sized steamed buns contain a wide range of ingredients including pork, beef, chicken, prawns and vegetarian options. Usually accompanied with hot tea, Dim sum is a quick and easy breakfast that is sure to please. 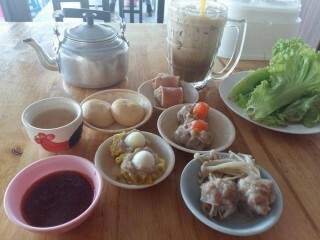 There are Dim sum shops scattered across Phuket, with Kathu and Phuket Town hosting two of the island's favourite spots. 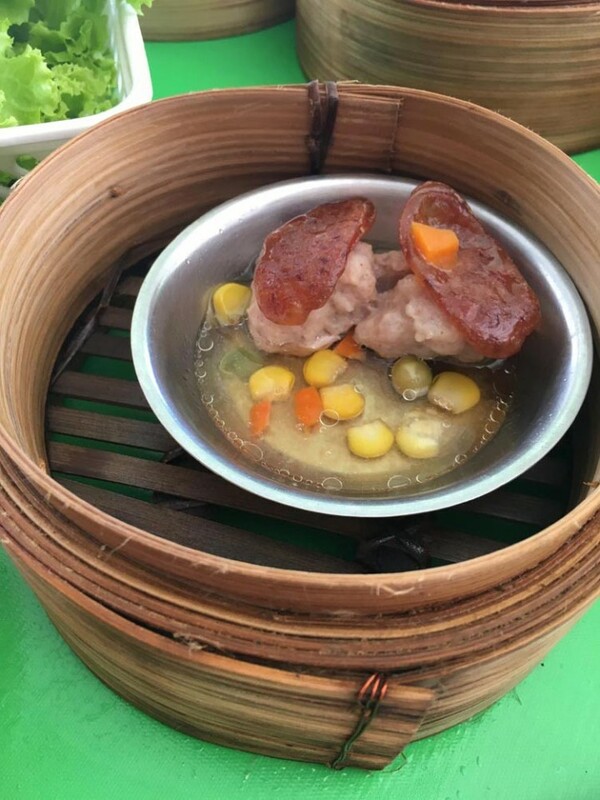 In addition to Dim sum, many of the restaurants that serve steamed buns also offer Thai-style omelettes, fried eggs, rice porridge and clear broth soup with boiled pork ribs. 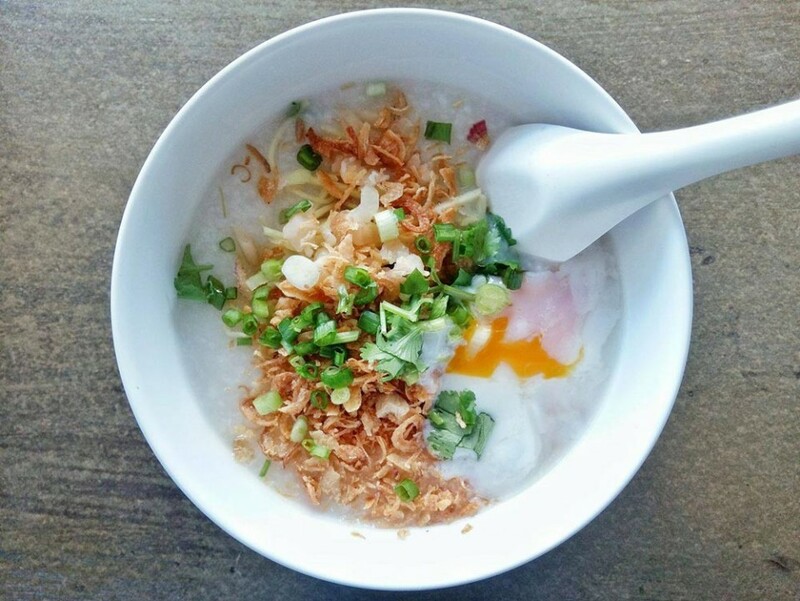 Regardless of what your order for breakfast, the shops in Phuket serve up some of the very best Chinese-style dishes that the country has to offer. 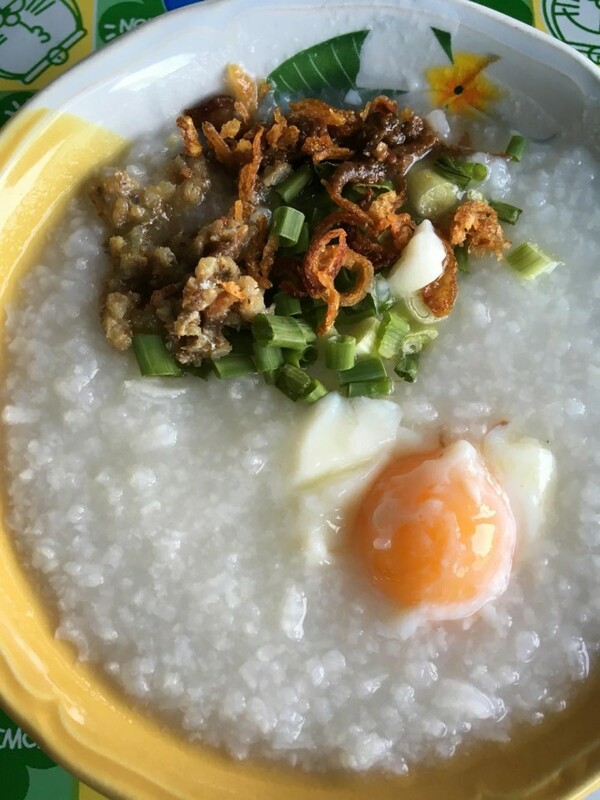 If keeping to a busy schedule keeps you from sitting down in an actual restaurant to enjoy the first meal of the day, Phuket also has some cheap and cheerful breakfast options. 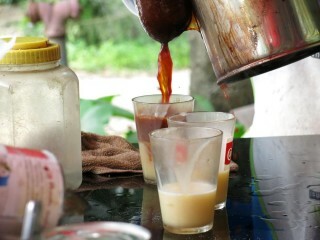 Tea and coffee aficionados will be pleased to know that it is quite easy to find coffee and tea on every street corner of Phuket. 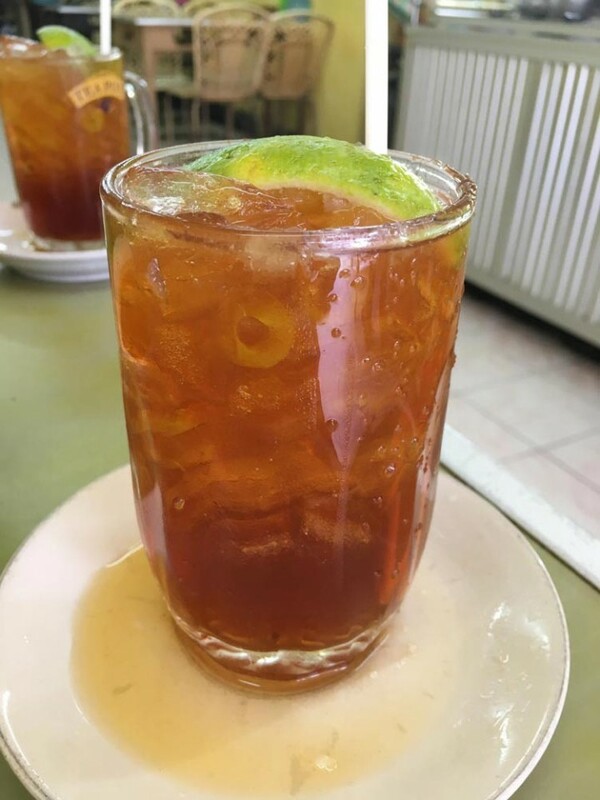 The richly flavoured Thai Iced Tea is creamy and sweet and very addictive, while the Oliang (Thai Iced Coffee) varieties are strong and feature heavy cream. 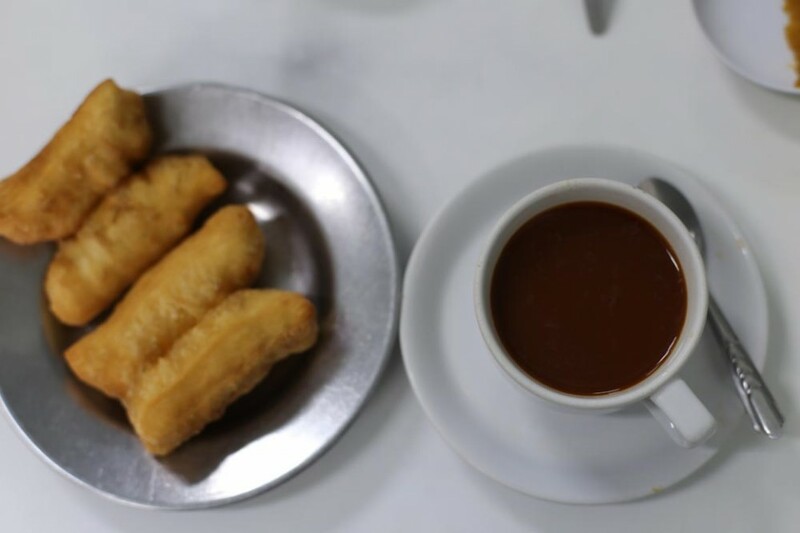 A quick breakfast snack comes in the form of fried bread, resembling a donut. Thai-Chinese in origin, Pa Thong Ko is a chewy treat often served with coconut custard. Pa Thong Ko may not be the healthiest breakfast option, but the fried bread treats are scrumptious and well worth nibbling on every now and again. 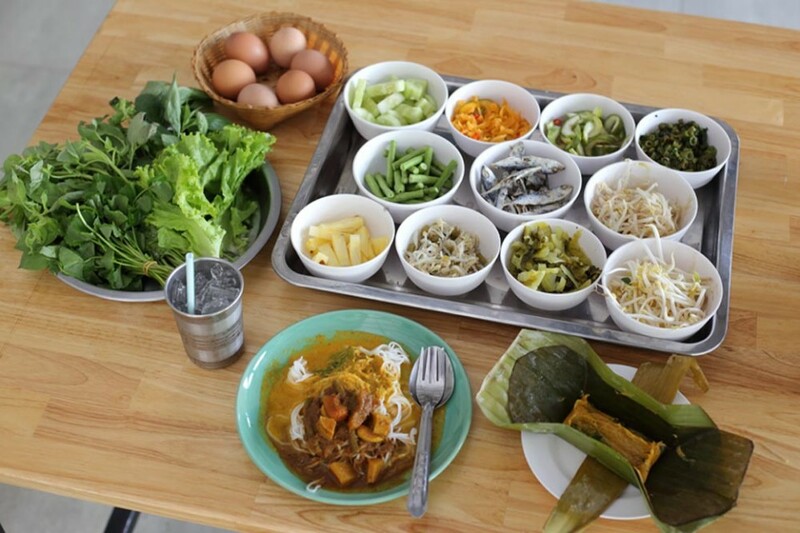 With so much variety to choose from, it is indeed easy to enjoy an early morning sampling one of Phuket's authentic local breakfasts. Perhaps give them all a try. It is quite certain that your tastebuds will thank you. Mee sua soup are typical breakfast dishes in Phuket. 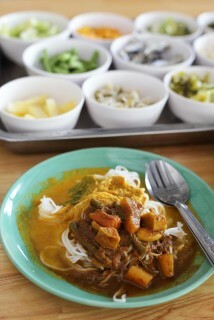 Kanom Jeen is a rice noodle dish served with fresh, local vegetables and spicy fish curry. It is delicious!